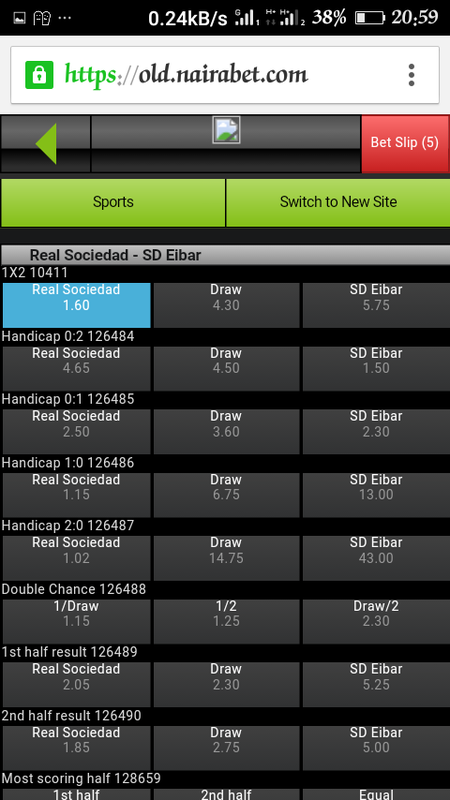 Nairabet is the leading sport bookmaker in nigaria . 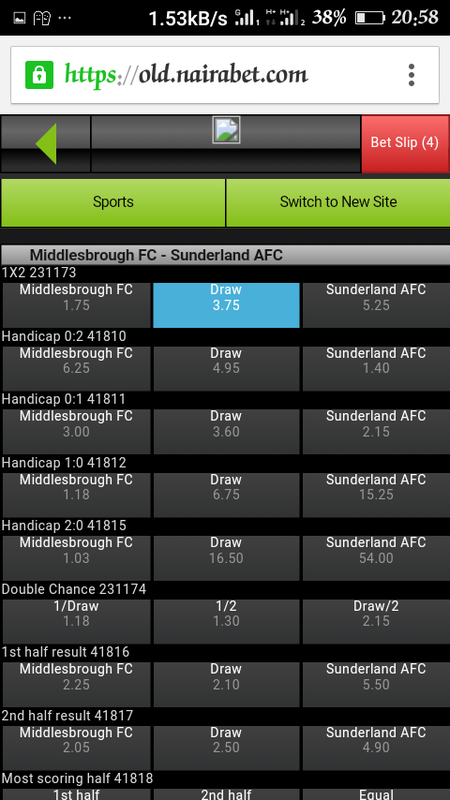 Few things make them stand out among all other sport betting websites. 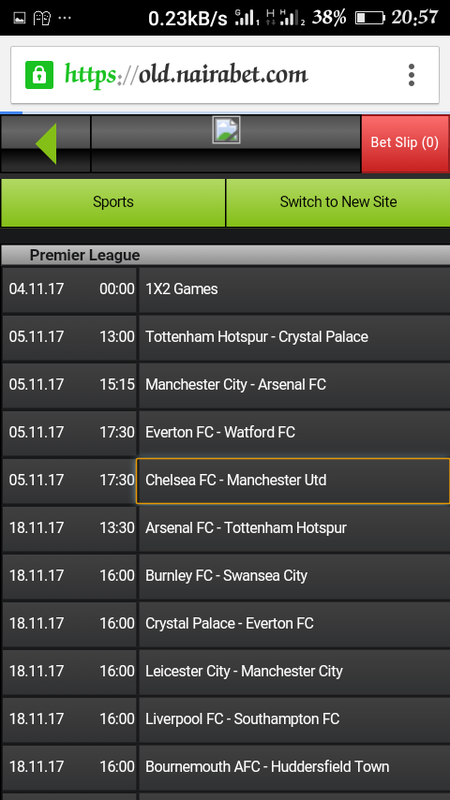 On nairabet you can actually book and place your bet with or without a Data on your phone, You can transfer fund to a friend to place an argent bet, you get 100% bonus on first deposit as new customer. 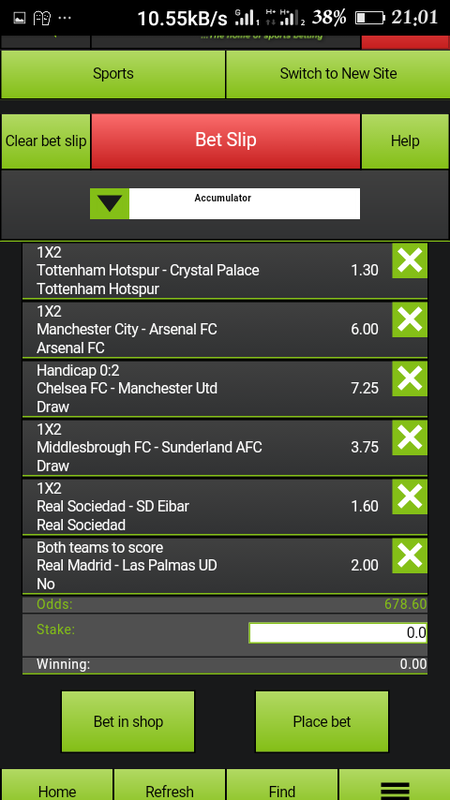 Nairabet boost of best odds and great bonus on bet accumulation and a whole of great stuffs for your betting convenience. 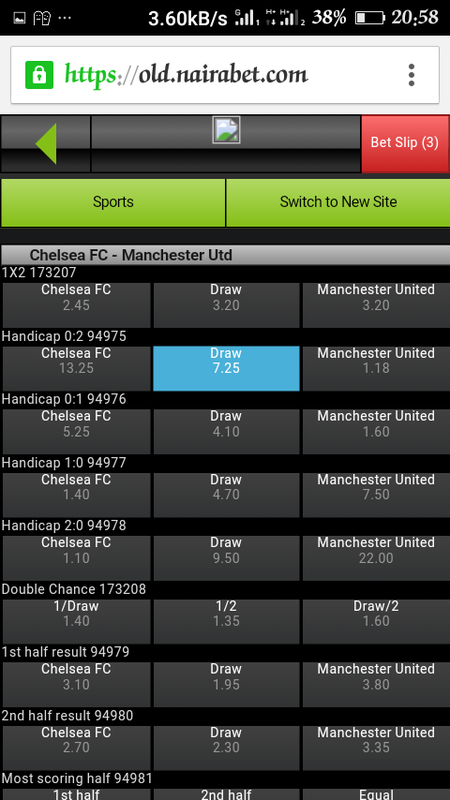 To book a bet on nairabet is not hard as you may think . You will be directed to a page as on this image below or the main website. 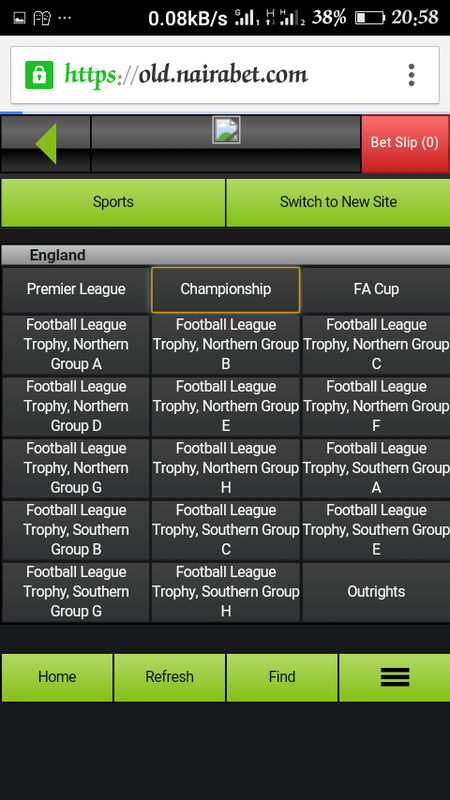 Now to choose the next fixture , you need to make use of your back button on your mobile device ..
We choose Arsenal at away to win at the odds of 6.0 . 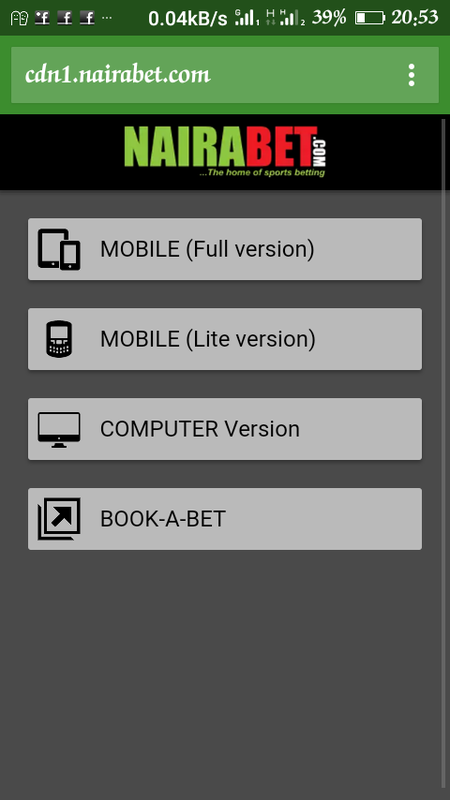 Here you click on the rep button of your bet slip to reveal all your selected bet once you are done with your selection.. See below screenshot. After entering the amount don't click on place bet button , if you do you will get this pop up as seen on this image below with description " you have to login to place a bet " since this tutorial is on how to book a bet click on book a bet button to reveal your booking code then copy or write out your booking code and go to any nearby nairabet betting shop outlet to place your bet.